A pouch of EXTRA refill is able to fill the grinders twice. Freeze-dried granules of peas. High in fiber peas act as a natural laxative and are great for bloated fish or upside down fancy goldfish. Naturally high in vitamins B1 and B3 which are good for finnage development, muscle and nervous system function and fertility. 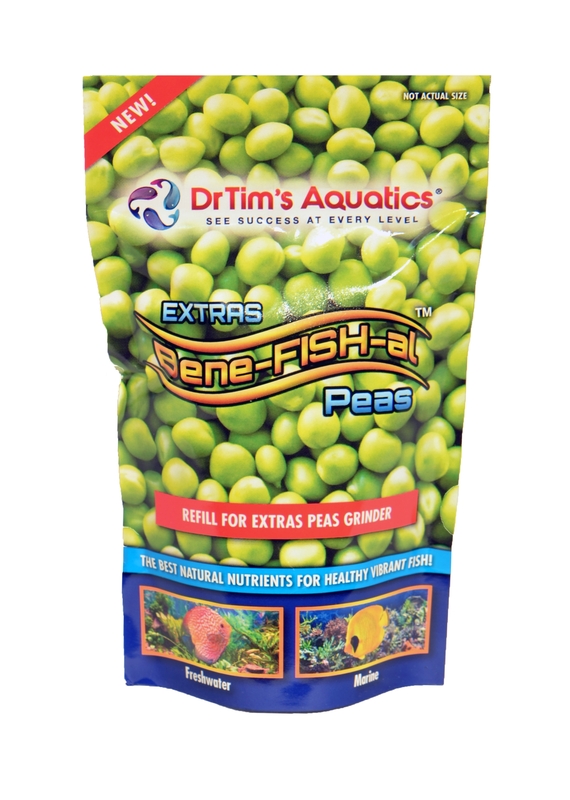 We recommend adding peas to the Bene-FISH-al fish food before freezing but many fish will accept peas directly and these can be used as a treat or a supplement by directly grinding some over the tank.